Building an eco-system for e-commerce is not easy. It requires hard work, investment in time and money and committed teams. ShopBox has been in operation for over two years and have pioneered a unique business model for e-commerce in Sri Lanka. This model focuses on the long-term sustainability of start-ups as well as small and medium enterprises through empowerment in creating and designing your website, payment gateways, mobile optimisation and access to your customer database. ShopBox recently partnered with Aramex; a leading delivery solutions provider, as their Official E-commerce Partner and worked together to create a customised e-commerce logistics solution for ShopBox merchants. Aramex, a global player in the logistics industry, provide a complete range of logistic solutions which include international and domestic courier, freight and warehousing. Aramex have taken a keen initiative in working closely with startups, creating tailored made solutions which streamline the facilitation of ecommerce trade. Services such as Cash On Delivery, Store-2-Door and Shop & Ship are products which were either pioneered by, or uniquely belong to, Aramex. The complete package boasts a cost effective offer allowing companies of all sizes to dive in to the e-commerce arena with all the tools and none of the red-tape or financial barriers. The result: quicker go-to-market opportunities and the ability to transition start-ups and small medium enterprises to the scalable potential of the world wide e-commerce marketplace. Samath commenting on the partnership stated: “Aramex takes pride in working closely with startups and playing a role in their development. A growing number of our clients which began this way have grown into market leaders in ecommerce. 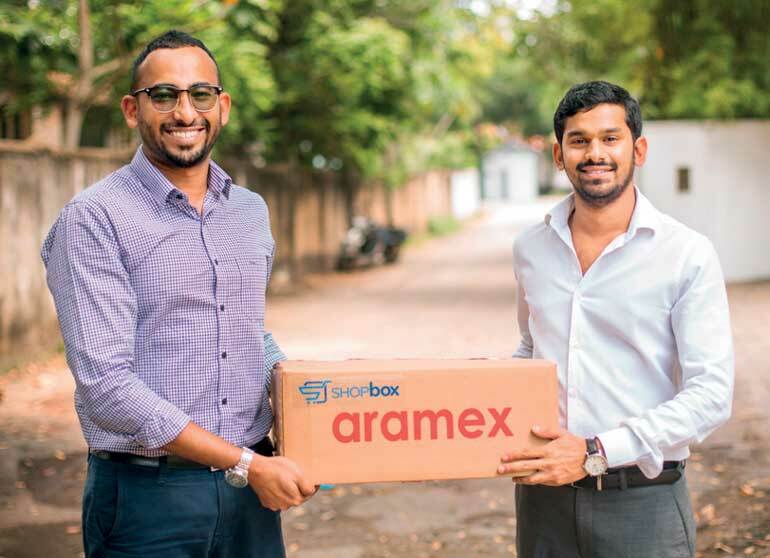 “We are delighted to be partnered up with ShopBox as they share the same ethos as Aramex; seeing value and the potential impact startups can have when given with the right operating platform and support-services. ShopBox offers their easy-to-use software for building e-commerce websites along with both operational and technical support. The customer experience in shopping online is made easy with hassle-free delivery; courtesy of Aramex.